I recently returned from a whirlwind vacation in Slovenia and Croatia, where my husband Thom and I not only had a terrific adventure, but also where the experience of living in connection was palpable. In the above picture I was having one of our daily Cappuccino’s at a riverfront cafe in Ljubljana, the capital city of Slovenia. Not only are their coffees terrific there, but most special was being immersed in a culture which seems to embrace connection. People there routinely sit outside together, young and old, regardless of the weather, enjoying coffees, wine, sweets, meals and good old conversation all day and night! We hardly saw anyone on their cellphones, ignoring the humans in their midst the way we routinely do in the USA. We were struck by how friendly and happy the people there seemed, and not just the tourists who were enjoying a vacation. We returned to the States convinced in a new way that the experience of daily human connection and personal happiness are intertwined. So, when you’re not on vacation in a friendly spot what can you do in your daily life to promote connection? Be intentional about engagement when you’re with other people. Maintain eye contact, listen, share, and most importantly, don’t confuse cellphone use with human socialization unless you’re sharing photos or anecdotes, and it’s not a solo, isolating activity. Take time each day to find people and places where you can have some meaningful conversation – whether it’s at the cooler, at lunch on a walk, or after work at a restaurant. If you’re a stay- at- home Mom join a mother’s group or a gym where you can find connection. Create small pockets of connection with your partner if you lack big expanses of time. Get away from an”all or nothing” frame. Share a glass of wine while cooking dinner, sit together and talk about the TV program you’re watching, share news about your day over dinner or walking the dog together. Plan your weekend and create something to look forward to. Use technology to let the people you care about know you’re thinking about them, then make a date. Don’t use technology as a substitute for the real thing, creating pseudo intimacy. Reach out and do stuff with the people you value. When you’ve experienced conflict in a relationship, (as you inevitably will in most normal relationships), don’t let it stew – instead, address it in whatever way the relationship will sustain, so it doesn’t become a barrier to connection. (The exception to this would be relationships which feel abusive, then boundaries are your best resource). When you’re alone find moments of connection with strangers who feel safe to you – talk with the supermarket clerk, start a conversation with the person next to you at a bar or restaurant, compare dog stories with other dog walkers. Engage! However you do it, be intentional and creative about maximizing the experience of connection in your life. You’ll be happier, for sure. PS. If you need help with this issue feel free to contact me at my Portsmouth, NH office at 603-431-7131 for an appointment. Thanks for your votes of confidence and support! Now that summer has wound down and I’m back from vacation I’ll have more time and drive to continue writing blog posts! Stay tuned….. There in the water is Barley, our grand-dog whom we’ve been dog sitting for during the past week while our son and daughter-in-law were away at a wedding. We adore Barley, who is very sweet and smart, and unbelievably persistent – possibly partly due to his being half Border Collie and half German Shepherd, both working dogs bred for their determination around completing tasks. What you see above is a moment in time while Barley was in our favorite lake by our boat, swimming around and fetching the ball. What the shot doesn’t reveal is that he did this ALL DAY NONSTOP, even when we tried to coax him back into the boat. He was doing his thing, having a blast, enjoying the whole experience. Persistence generally works fine for him. If you think of yourself as being persistent how would you know if it’s working for or against you? Persistence can be double edged – it can veer into obsessiveness, alienation and empty efforts creating undue frustration. 1. Are you having fun in the process or is your blood pressure just getting elevated? 2. Have you issued some sort of disclaimer related to the time you need, or negotiated it with a partner, or are you isolating around your efforts in a way others may find rude or hurtful? 3. Are you experiencing some desired outcome for your efforts or would Barley think that you’re barking up the wrong tree? 4. Are you maintaining balance and attending to other things needing your attention or is your persistence canceling out other important things on your agenda? 5. Are you respectful of other’s time and energy or is the “bug in your bonnet” leading to excessive reminding, prompting or nagging to get others on board? These are only a few signs which might be good indicators of how persistence is working for you. The main point is to be conscious and intentional about it. 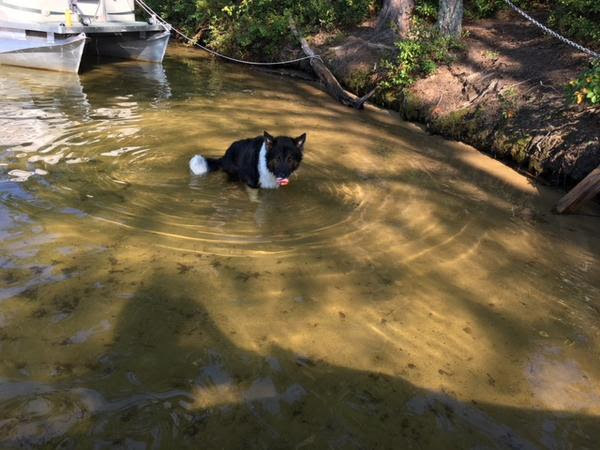 It’s okay when you’re a dog to just “dive in” all day, but most of us don’t have that luxury! PS. If you need some outside help with this or any other issue feel free to contact me to set up an appointment. I’d be glad to help! 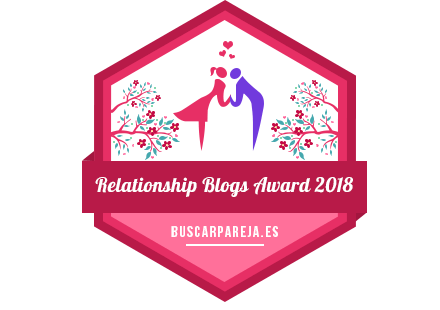 Relationship Blogs Award 2018 – Like my blog? Then vote for me! If you’ve enjoyed my blogposts and have found them useful or relevant to your relationships, then please vote for me in the 2018 Relationship Blogs Award contest. Voting closes soon! Thanks for your support!